During the recent visit to the Doctor for Arjun’s routine check up, all food restrictions was cleared up which had me heaving a big satisfied sigh. It is quite difficult to restrain a child from eating certain foods which the other kids in his age group normally eat and crave. Arjun had a big wish list of which Pav Bhaji stood first and foremost. Puree the tomatoes. Grind onions and garlic to a paste and keep it aside. Wash and cut all the vegetables. You can either pressure cook for 1 whistle or microwave them till they are cooked. Let it cool completely. Then put all the vegetables in a blender and blend till they are coarse. In a big kadai heat oil. Add the onion garlic paste and sauté till they change to light brown color. Now add the tomato puree and sauté till the raw smell disappears. Now add pav bhaji masala powder, red chilli and garam masala powder and salt to taste and cook for another 5 minutes. Add the blended vegetables and cook for another 10 minutes over a low flame till the flavors of the spice powders merge together with the vegetables. You can add a blob of butter for more flavor. Slit the Pav buns in between. Rub little butter on both the insides. Place them on a hot tawa and toast them on both sides. 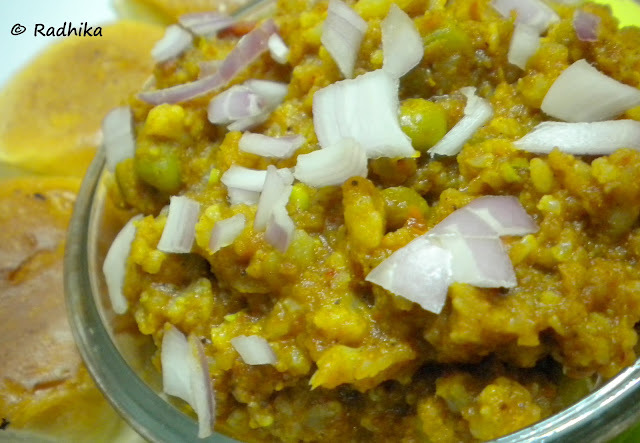 Garnish Bhaji with chopped onions and coriander leaves and serve with the toasted Pav Buns. Note: You can also vegetables like french beans and bottle gourd. I used Everest Brand of Pav Bhaji Masala. I have used several other brands in the past but Everest and MDH really taste good. (Wish I get paid for this). Happy to hear that the food restrictions for you son are a thing of the past, Radhika – I know my baby has milk allergies when she was born and I had to switch to Soy milk because i was nursing her – It made me gassy and had a lot of stomach cramping etc. 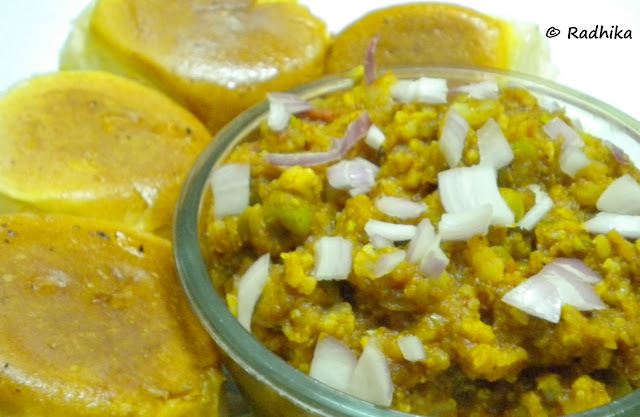 The Pav bhaji looks delish! And your comment reminds me of kudika vendam, apudiye shapduven .. horlicks, right? Looks absolutely yummy.. Perfect snack and filling one.. 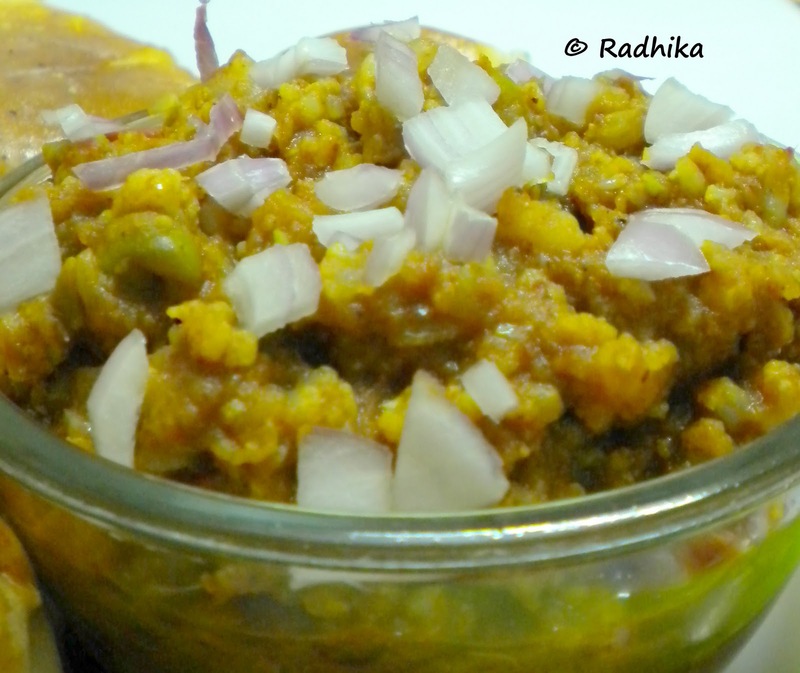 Absolutely yummy looking pav bhaji..one of my favourites. Looks delicious! My daughter too has it with almost everything. So delicious…Can have it anytime in a day.. 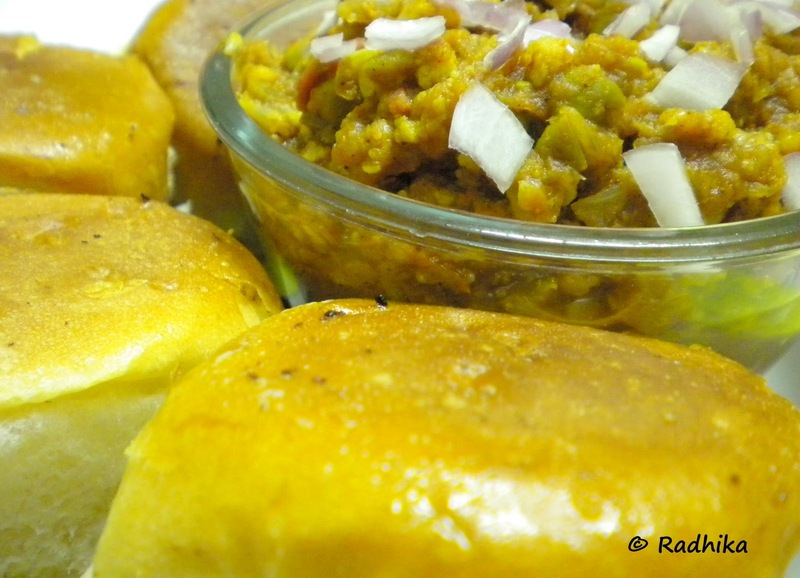 I absolutely love pav bhaji my family fav,looks yum! wow..this pav bhaji looks absolutely delicious….I can hav a plateful of this 🙂 first time here…u hav a lovely blog…..happy to follow u….do visit mine whenever u hav time ! Looks so delicious!! I’m hungry!! pavbhaji looks yummy n mouthwatering..